A few weeks ago I published The Book Blueprint: Expert Advice for Creating Industry-Standard Print Books. This is the second edition of a book originally published as The Book Construction Blueprint. I immediately thought of author services specialist Kate Tilton. We’ve worked together for years, and I knew she would be able to navigate the ever-changing world of indie publishing. I asked Kate to explain to readers how the updating process works, and here’s her report. One of the benefits of being an indie publisher is the ability to update your books whenever you choose. Have a cover you did yourself before you knew better? Change the cover! Wrote a book about social media and included Vine? Update it! Have a new book coming out? Add a sample chapter in your past book! And so on. But how do you make changes without losing your reviews and ranking on the various retailers? Is it possible? Like many things in publishing, the answer is it depends. The first step is to determine the kind of update you want to make to your book. Some changes will require a new ISBN, others will not. This is the key question you’ll need to answer before you proceed. Here are some of the common changes I’ve come across. You found typos in your book and want to update your book to correct for these typos. This is the most common change to indie books and is luckily very easy to do without losing your reviews. First make a list of the typos you need to change, then have your interior designer make the changes (or do it yourself if you did the interior formatting on your own). Once you have your new files make sure to clearly label them so you don’t mix them up with your old files (in most cases I recommend deleting the older editions or moving them to a folder to help avoid confusion). Then with your new files in hand, simply go to your retailer dashboard and edit the listing for your book. You can do this on all the main ebook retailers (Amazon, Apple, Kobo, B&N), distributors (D2D, Smashwords), and print on demand vendors (Ingram Spark, Createspace). In this case you won’t need to change your ISBN so your listing will remain the same with all the information and reviews intact. Love it or hate it, often publishers (aka indie authors) change covers to better suit the current trends in publishing and increase sales. There are many reasons to change a cover, from the author who tried to DIY a cover and ended up with the dreaded unprofessional cover to the cover that is lovely but doesn’t explain a thing about the genre or story inside the pages. The good news is this type of change also won’t require a new ISBN, so like the typo change mentioned above you can simple make your changes, go to your retailer dashboard and upload the new cover. All your reviews will remain. Do note that if you want to change the cover on Goodreads (social website for books) they do require that you make a new edition of a book with the new cover. You can link this new edition with past editions so you won’t lose reviews but it does require the extra step of creating a new edition. You can read more about Goodreads’ policies and how to do this here. This is where things get sticky. Let’s say you published a non-fiction book in 2016 about social media. A few years pass by and suddenly some of the advice you offered is no long okay with the new terms of service on one of the major platforms, and one of the platforms you mentioned shut its doors. In this case you’ll be making a revised edition of your work with substantial changes. And, this new edition will require a new ISBN. Most of the major retailers will not let you change the ISBN of a book listing so you would have to make a new listing for the book and start over again. But this is likely a very good thing. When you make changes like typo corrections or new covers without making a new book listing, your readers can’t buy the updated ebook edition. In most cases, they will be able to update their copy to the newer edition, but they might not know one exists. For example, Amazon will notify past buyers if major corrections have been made, but this is rare. In most cases it is up to the reader to check their library and download the new updates. By having a new edition and new listing for the book you make it clear to readers that the content has substantially changed. If you choose to publish a new edition you can remove older editions from sale to help avoid confusion. Createspace will let you retire a book and ebook retailers will let you remove the older edition from sale. You might still see copies of past editions show up from third-parties, but removing/retiring the older edition on your end will help greatly. But what about major changes for fiction books? While these restrictions might be beneficial for a non-fiction author, a fiction author might not feel the same. I get it. Here are a few things to consider if you are making substantial changes to the work and don’t want to start fresh. First, it can be possible for Amazon to link an old edition with a new edition if the title and author name are an exact match. If the majority of your reviews are on Amazon, being able to save those reviews might be all you are really looking for. If you want to attempt this, I suggest getting in touch with Amazon about what you want to do BEFORE you try to do it. Better safe than sorry is my policy. Second, like Amazon, the team at Barnes & Noble might also be able to help you link a new and old edition. Get in touch with their support team to let them know the situation before you begin. Third, in some cases you may not have used an ISBN to begin with. For example, if you publish on Kobo using Kobo Writing Life, the ebook and print book ISBN fields are optional. So if you do not use ISBNs, you can upload your new edition like you would for typo changes. Though you will not be able to add an ebook ISBN if you decide to publish without one to begin with, that does become locked out after you submit a book on the platform. And lastly, consider if the reviews you have are worth keeping. Maybe you have just begun and only have three reviews. You might find losing those reviews is okay in the big picture in order to make sure your book is presented in the way you need it to be. Or you may find the reviews you have all come from bloggers who you can ask to leave a new review on your book when you launch the new edition. Changes are a part of the publishing journey. Don’t be afraid to make changes to your books for fear of losing reviews. Approach each retailer you are on for their assistance, take your time, and you and your book will be okay. If you have any questions about this article please leave them in the comments below and I’ll do my best to help! Kate Tilton is the founder of Kate Tilton’s Author Services, LLC, where she has been serving authors since 2010. Kate helps authors of all stripes, from New York Times and USA Today bestsellers and award winners to pre-publication authors, upscale their businesses and connect with readers. 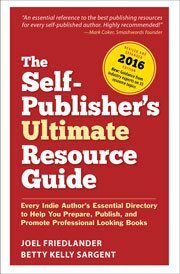 Kate has shared her industry knowledge by contributing to The Self-Publisher’s Ultimate Resource Guide (2016) and has appeared in Publishers Weekly, Library Journal, RT Book Reviews, Kobo Writing Life and The Book Designer. She has also presented at Book Expo America’s Blogger Con and other venues. Kate serves as the production coordinator for YATL, an Atlanta-based live talk show centered around YA authors & books. A cat-lover and fan of many geeky things, Kate can likely be found curled up with tea and a good book, plotting world takeover, or connecting authors and readers in any way she can. You can find Kate on katetilton.com. Photo: BigStockPhoto. Links may contain affiliate code. Sharon, how in the world did you convince Amazon to keep all the reviews for a second edition with a new ISBN?? Everywhere I read, it looks impossible. Nancy, I’ve done it with Amazon for a client’s 2nd edition (different ISBN). It took some time but it did happen. That’s true, but only if I keep the same ISBN. Nancy, yes that article’s recommendation of 20% is a good guideline to follow. Regarding the new cover, this is what Bowker says: “US practice is if the book is just out or the idea is to give a marketing boost to the product, then no, a new ISBN should not be assigned. However, if the change in cover substantially changes the product (ie., would lead to customer complaints), then a new ISBN should be used.” Since it’s been so many years since the book first came out, a new ISBN would give the book a new life for marketing purposes because you can market it as a second edition. Thank you, Sharon! Then I should be fine with keeping the ISBN. As far as a new ISBN, I don’t want to lose all the reviews I already have by doing that. 🙂 And luckily, I have a good following! Nancy, you should be able to transfer the reviews from the first edition to the second edition. Looks like no one is answering posts here anymore. Sad. 🙁 In my non-fiction print book (not kindle), I just want to update URL’s in the book, several product names, do a new acknowledgements, and a new cover. I read in an article that you can change up to 20% and not have to have a new ISBN. Is that correct? remove the former Acknowledgements and add a new one. Will Amazon consider linking editions on a non-fiction book, so we do not lose the reviews and best seller designation? We have made updates to the content beyond just correcting typos. Thanks! Good suggestions. I’ll toss in another. When you make changes but keep the same ISBN, you’ll probably want to do something that distinguishes between the old and the new. You can do that by referring to the distinction as a new printing. The first is the First Printing, The second is the Second Printing, and so forth. Amazon and others even allow you to add that to their detail page. Traditional publishers have long used that to make minor corrections. And if you’re into another year, you might amend the copyright as in “Copyright 2017, 2018.” The old material is 2017, and the new is 2018. And since someone many years hence may not know which is which, it’ll give your heirs an added year of protection. Also, if you are forced to use a new ISBN, I believer that Bowker, the keeper of ISBNs in the U.S., allows you to link from the old to the new in their database. Yes if you are doing another printing of a paperback or hardcover it is good to list the print run the book belongs too. It wouldn’t apply to ebooks but is a great note for print books. I have an author on the fourth printing of her book so we list that in the copyright page like any publisher would. We wanted to re-format the paperback version of one of my books to match the later ones eg font size and wider spacing, margins wider etc. I understood from Createspace that if the major changes were more than 10% then I would have to list it as a new edition – even though the actual word content would not have been changed. Is this true? That sounds like a formatting change and not a content change so I would assume Createspace meant 10% change to the content itself (the words/pictures) verses how they are spaced in the book but I can’t speak for them so you’ll need to confirm that with them. Though I will say I’ve never heard of someone having to get a new ISBN because they changed their formatting for margin space, etc. Kate, I did a new cover for my first novel after the Kindle version disappeared from Amazon for about 14 months and with no explanation under my previous publisher. I gave it a new ISBN. It sounds like you are dealing with the Major Changes option as you’ll have a new ISBN. I’d consider talking to a lawyer to make sure you can publish without worry the previous publisher still has rights to the book. Do check about contractual rights — though I’m guessing not having the book available for more than a year would probably trigger the reversion clause of the contract! You can also use Author Central to link editions of your book — the reviews should come over then. Unless you are creating a new version of the book you wouldn’t want to change the copyright date. So if you are only correcting for typos and the ISBN is the same then the copyright date should remain the same as well. Thanks for your input. I guess my next question would be .. if I want to change and update the copyright year with new revisions, must I get a new ISBN ? Yes, though I’m not sure why you’d want to update the copyright year? You would really only do that if you were making major revisions, not typo changes.